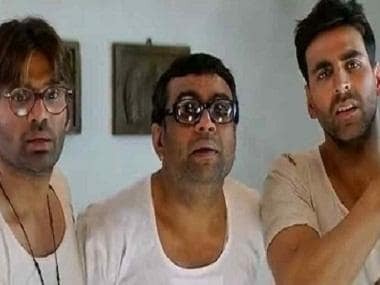 Bollywood actors including Akshay Kumar, Ajay Devgn, Aamir Khan, and filmmaker Karan Johar have hailed government's decision to reduce GST on cinema tickets and said its a "welcome move" which will benefit the industry and the audience. Producers Guild of India issued a a statement, where it mentioned that the industry is happy with the reduction of GST on film tickets, exceeding Rs 100 to 18 percent from 28 percent and up to Rs 100 to 12 percent from 18 percent. "This will help the industry move forward positively with increased investments in both exhibition infrastructure and creative development, enabling even better cinema and greater screen density across the country. "We look forward to continuing to engage with the government on initiatives that will help to unleash the full potential of the film industry," Siddharth Roy Kapur, President of Producers Guild of India said in a statement. The move comes after a Bollywood delegation, including Aamir, Ajay, Akshay, Karan, Kapur, Ritesh Sidhwani among others, met Prime Minister Narendra Modi and discussed the issues the film industry is facing, including GST. "The voice of the film industry was finally heard and immediate action taken, thanks to @narendramodi ji," Ajay posted on Twitter. Aamir tweeted, "Heartfelt thank you to Honorable PM & the Govt of India for considering the request of the film industry for reduction in GST. If Indian cinema hopes to compete in the world market then we need the support of the Govt and Administration. This is a great first step in that direction." Karan wrote, "Would like to thank our Prime Minister @narendramodi for the swift action on the GST rate on movie tickets... Great news at the year end! Thank you sir for your proactivity and support....."
Akshay, too, lauded the swiftness of PM and said, "Quick action and how! Within a few days of our meeting with hon. Prime Minister @narendramodi ji, the Government addressed our concern...GST for movie tickets to be reduced. A welcome move for the industry and audiences as well." Quick action and how! Within a few days of our meeting with hon. Prime Minister @narendramodi ji, the Government addressed our concern...GST for movie tickets to be reduced. A welcome move for the industry and audiences as well. Producer Sidhwani and Bhushan Kumar also thanked the government. Sidhwani wrote, "Thank you so much Shri. @narendramodi ji for your immediate action of reduction in GST on cinema tickets..."
"Welcoming the news from #GSTCouncilMeet about the change in GST rate for our entertainment industry! Thank you @narendramodi ji & the cabinet for this consideration," Kumar tweeted. Welcoming the news from #GSTCouncilMeet about the change in GST rate for our entertainment industry! Thank you @narendramodi ji & the cabinet for this consideration. Lyricist and Central Board of Film Certification chief Prasoon Joshi said, "Signifcant decision #GSTCouncilMeet Good news for both cinema goers and #IndianFilmIndustry Movie tickets upto Rs. 100 which had 18 per cent GST now brought down to 12 per cent and the ones in the 28 per cent slab will now be in 18 per cent slab .Thank you PM @narendramodi for hearing us out last week. "Superb news for #IndianFilmIndustry. Cinema tickets upto Rs. 100 which were under 18 per cent GST slab is brought down to 12per cent slab. Tickets above Rs. 100 were under the 28 per cent slab. These tickets will now be under 18 per cent slab. Thank you PM @narendramodi and officials for this great decision," veteran actor Anupam Kher said.